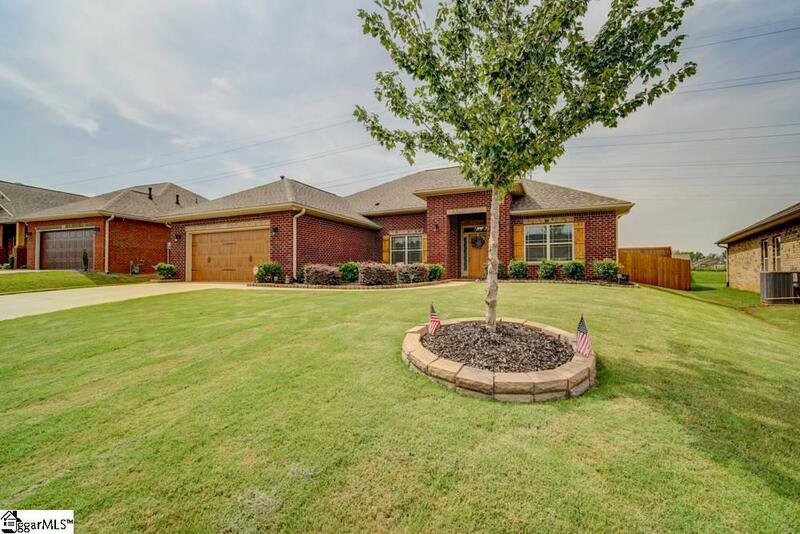 4BR/3BA OPEN floor plan home offering vaulted ceilings and upgrades throughout. This BEAUTIFUL move in ready home features an inviting front entry, formal dining room with trey ceiling and hardwood floors, living room or office/flex room, large GREAT ROOM with FIREPLACE and gas logs, oversized walk-in laundry room, spacious kitchen with GRANITE countertops, stainless appliances, upgraded extra tall cabinets, HARDWOOD FLOORS, pantry closet, and eat in breakfast room with bay window. All kitchen appliances stay including refrigerator. The Master Suite with trey ceiling, french door to covered back deck, and dual walk in closets offer a private full bath with double sinks, garden soaking tub, and separate shower. Three additional spacious bedrooms and 3 full baths complete this lovely home. Additional upgrades include ceramic tile and granite countertops in all bathrooms and laundry room, new carpet in great room 2018, upgraded ceiling fans throughout, security and motion detectors, and full yard irrigation. You will enjoy entertaining family and friends on your oversized COVERED PATIO with 8ft FENCED in backyard for privacy. Ridge Water is a quiet well maintained subdivision with all brick homes in the sought after District 5 school area in Lyman. It is convenient to Greenville, Spartanburg, Greer, BMW, GSP Airport and interstates. This home has been immaculately maintained and will show like NEW.